It is the polishing that brings about the most improvement in the overall appearance of your cars paint finish. Wax or a sealant is applied to add depth of shine but primarily to give protection to your paint finish. Machine polishing not only brings correction for paint blemishes such as swirl marks, cob webbing and hollograming, it also burnishes the paint finish to a very high gloss which will set your car apart from others. We guarantee to remove as many paintwork blemishes as possible giving your car the best clarity of reflection. Modern day paintwork finishes are known as 3 stage: primer coat followed by colour coat and finally clear coat. The clear coat finishes vary considerably from one manufacturer to another (and sometimes from one model to another). It is important to understand the coat finish type and depth before machine polishing, as with the introduction of harder clear coat finishes polishing by hand to remove swirl marks will be very hard work. 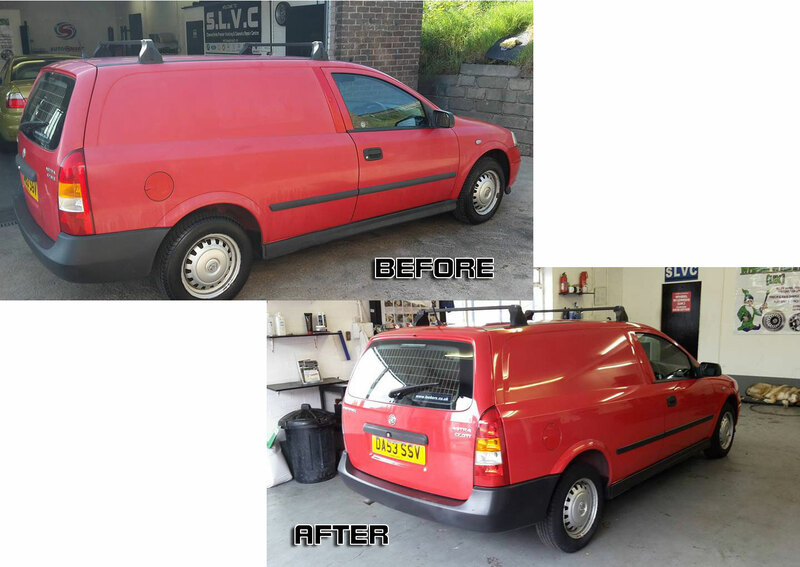 The aim is to remove as many blemishes as possible without compromising the finish on your car. The clear coat finish on modern day cars offers durable protection for the thinner, softer and less durable colour coat underneath. It blocks the effects of Ultra Violet light. If the clear coat finish is too aggressively polished it will reduce its depth and its ability to block UV light. The result can bring on rapid deterioration of the colour. Sometimes, particularly after a surface has been resprayed there may be odd blemishes. There can be dust particles trapped in the finish or sanding marks in the colour coat, just two of many issues. Sometimes, polishing will not be the way to remove them. After washing and drying the exterior bodywork a surface preparation bar is used to lift out all the embedded contamination that washing and polishing may not remove. Tree sap, stuck flies, road tar and industrial fallout all build up over time. If necessary all seams, rubber, plastic etc are masked off before polishing starts. Scratch removal is possible. If the scratch is not too deep or wide machine polishing may well improve the appearance, make it less visible or even disappear. Once the desired effect after polishing is achieved, the surface requires protection to retain the effect longer term. A pre wax cleaner is applied by hand to ensure the next stage. A wax is applied to repel contaminants, dirt, grime, water etc. This protection layer causes water to be repelled or bead. Machine polishing a car will take a number of hours to complete. To achieve the best finish using the correct tools and materials takes time and patience. How long the protection layer will last is dependent on the vehicles mileage, atmospheric conditions and if the car is garaged overnight.